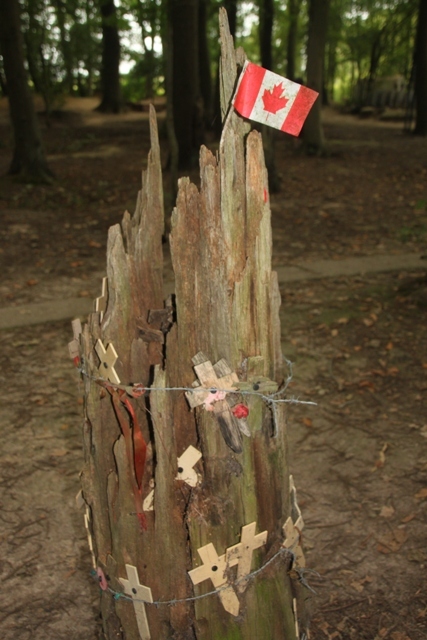 Our second day visiting the World War 1 sites saw us drive back towards Ypres but this time follow signs for Sanctuary Wood. This is a fascinating place. 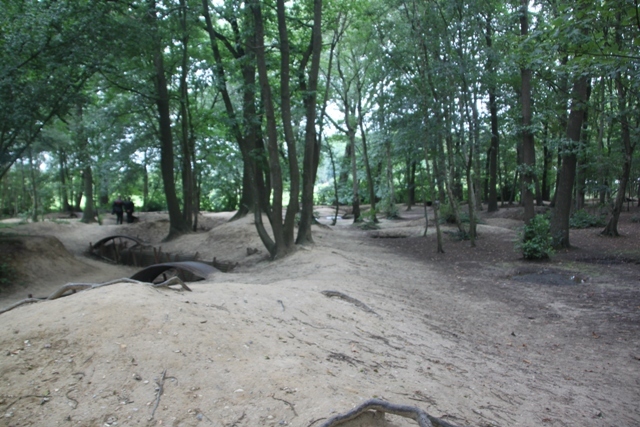 More than one hundred years after the first shots were fired in this terrible conflict, you can still see the trenches, shells and muddy craters in one of the most famous battlefields. 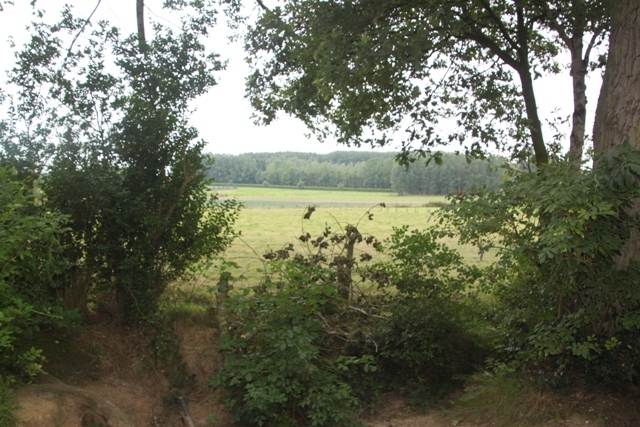 Part of the battlefield has been kept as close as possible to how it was then. 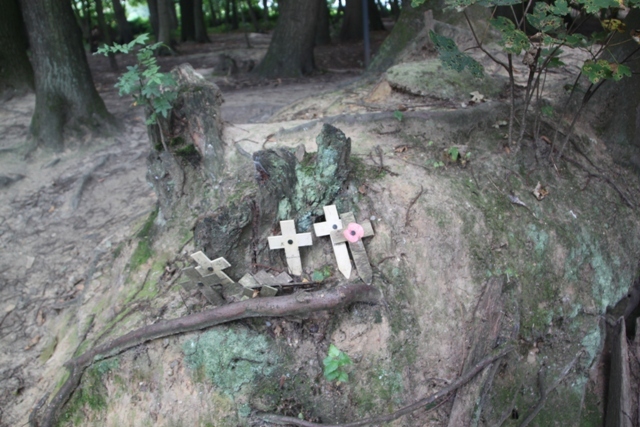 Nicknamed Sanctuary Wood it sheltered soldiers with the additional cover provided by the trees. We all found it a haunting and moving place. A change in the weather too, up until today we had experienced sunshine and blue skies on our Belgian trip. Now the bright weather was replaced with drizzling rain and grey clouds, this seemed more fitting. 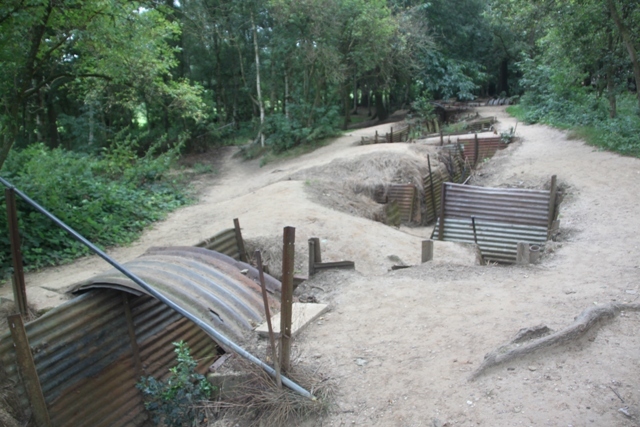 To see the trenches and battlefields without the cheerful blaze of sunshine felt somehow more appropriate. Arriving at Sanctuary Wood my heart sank when a coach party pulled up just ahead of us. We stood behind a long line of people at the entrance, amazingly they did not venture into the museum or head for the trenches, the cafe was their destination. Great for us but it left me puzzled. 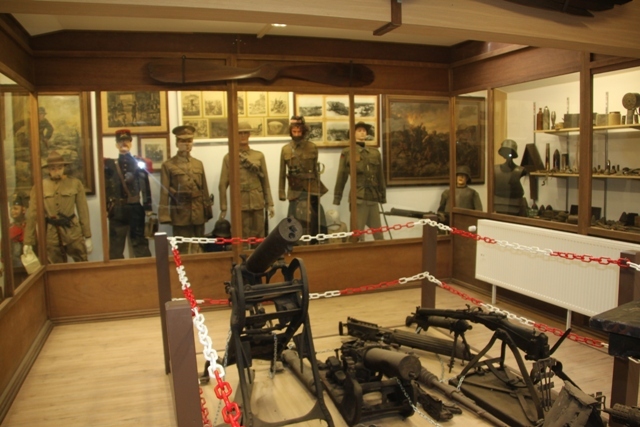 We entered a little museum stuffed to the rafters with everything and anything relating to the war. It is a bit ramshackle, very eclectic and there seemed no order to the displays but I loved it. You needed to take time, browse and look hard. Thousands of bits and pieces – uniforms, pieces of crockery, letters they had everything under the sun. Some strange machines caught our eye. 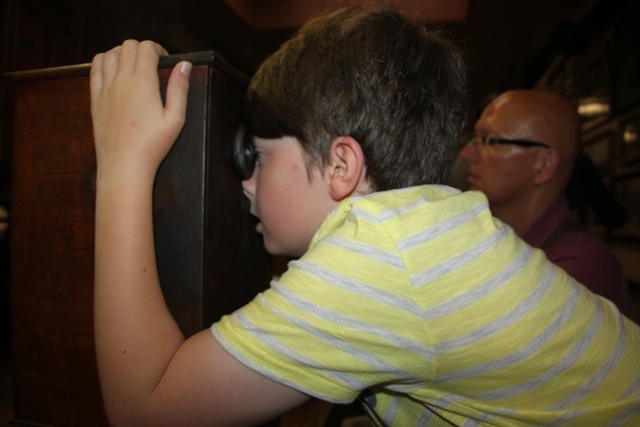 We had a look through them and saw old war photos displayed almost as if they were in 3D. Absorbing but beware with children – Son unexpectedly came upon a picture of a man in Ypres with his face partially blown away. Several of the pictures are realistic and traumatic. 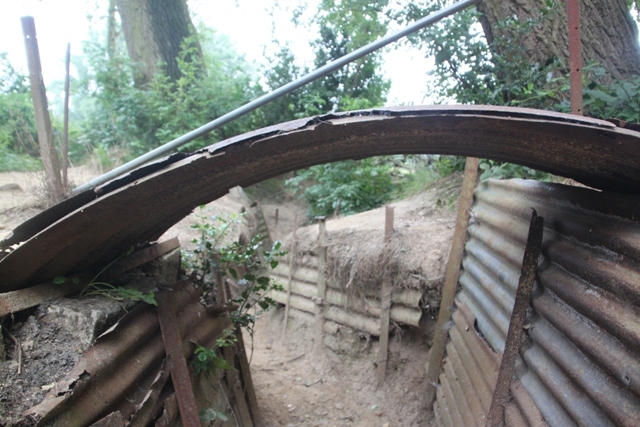 Outside are the original trenches. We walked in silence and looked. 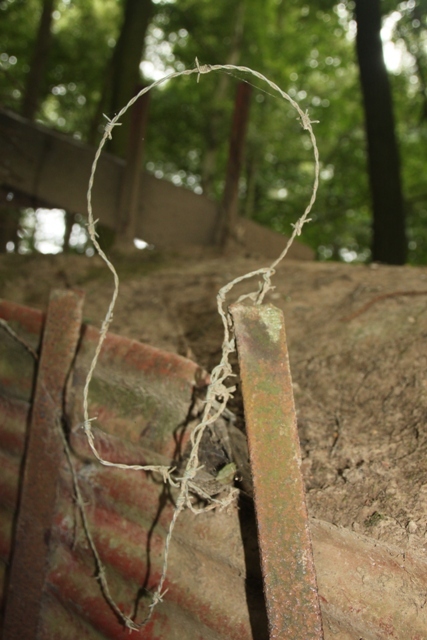 Rusty corrugated iron, barbed wire and mud filled holes and craters left by shells from both sides. Tributes everywhere to soldiers who had died here. 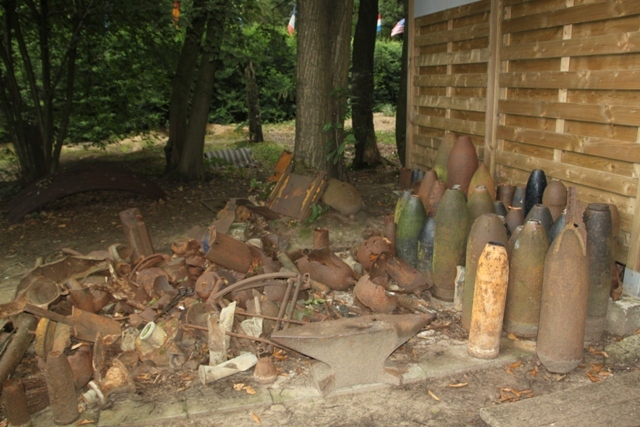 Munitions cases have been gathered up and piled in heaps. A scarred landscape and one that leaves a lasting impression. This was an incredible experience for all of us, a history lesson like no other Shirley!! I hope he remembers and reflects in later years on somewhere like this. It was completely fascinating, strange and quite eerie but such a memorable place to visit. Can’t get my head around those coach tourists not even taking a peek….strange. Great pictures and writing. It is sad what humanity will do to itself. What we will do too one-another. The greatest lesson history has to teach us, is how little we learn from history. So true Curt, this was a humbling place to visit for all those reasons. I, too, shudder every time I find myself in the company of large bus tour groups (or really any size group), especially in places like that: silence is appropriate, but unfortunately not many seem to understand that. Tammy and I always travel just off center, either right before the season begins or right after it ends. Lets us appreciate without distractions. The thing that surprised me most about those tourists was their desire to get into the cafe and then get going again!! 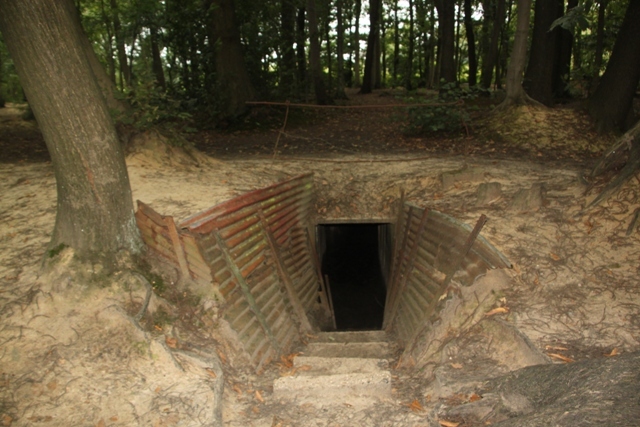 Strange, not even curious enough to have a look at the trenches and everything else here…. still made it a better visit for us. I completely agree with travelling off peak, that is definitely the best time, we always used to plan our trips then….now school holidays rule our schedule!! Great photos of a terribly sad place. I’m sure this visit leaves it mark on you all. Another super informative posting from you. Appreciate you stopping by my blog too! It was an incredible place to visit – one you could never forget!! Enjoyed your posts, something completely different to this!! Have a great weekend. The tour bus had long gone before us Rosemary so not sure at all about that!! Strange… It was another of those unforgettable experiences here, very unsettling but one I’m glad we had. Hope your weekend is a lovely one too!! Thanks Joy – I would have lost myself for ages in the museum! 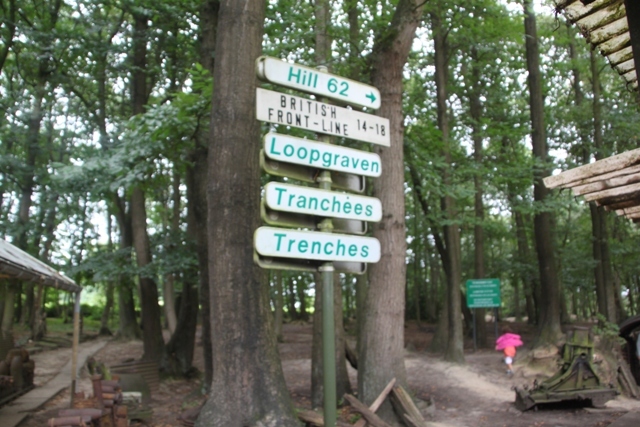 Sounds so moving – I couldn’t begin to imagine what it must have been like in the trenches 😦 The Belgians sound so respectful in the way they have ensured the memory of the fallen lives on! It is fascinating, the sort of place you never forget. Thank you for sharing this part of the world. WW1 fascinates me as I feel so many men were lost needlessly. We spent time at Normandy, but I wish now I’d got to Ypres. Your photos are excellent and give you a sense of being there, so I thank you for that. Nice post of a grim place. Grim is definitely the word to describe it here, still I’m glad we went, a history lesson like no other. Another deeply poignant post, Joy. Thank you. Thank you Susan, it is another moving and haunting place. That looks like a really interesting place to visit. 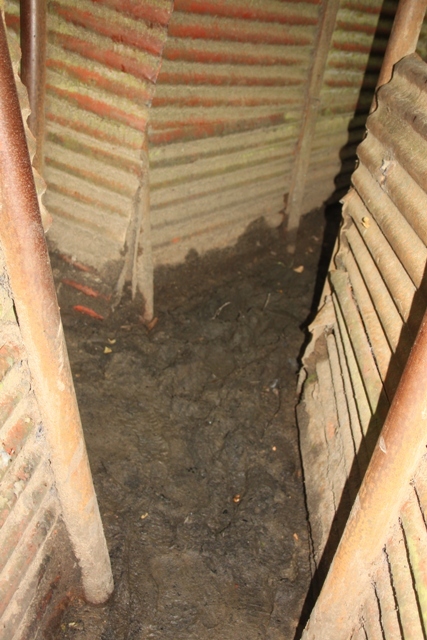 I am sure that walking in trenches engages in the experiences of soldiers a century ago in a way that merely observing footage or photographs could not. 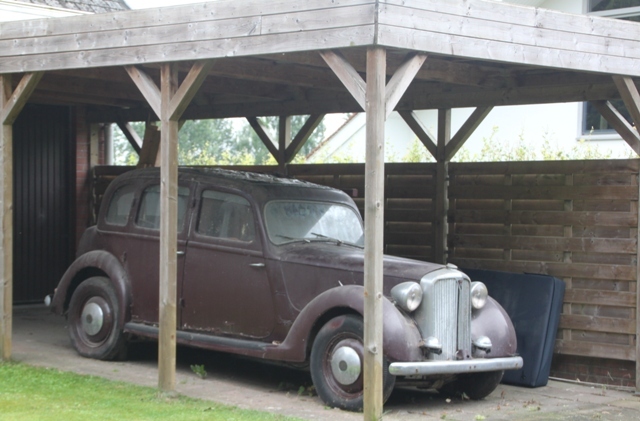 I rather enjoy ramshackle museums. I am sure it was a thoroughly absorbing and moving trip. 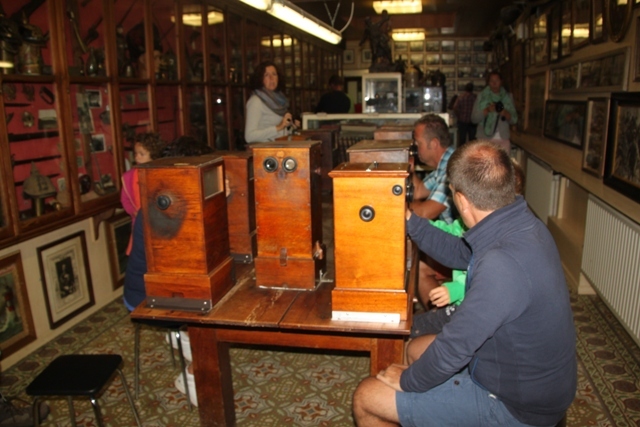 This museum seemed like they’d gathered all sorts of everything over the years and stuck it all in cases – I loved that! The trenches was just an incredible experience, sombre and very sad, it left us feeling rather strange but hit home in a very strong way. 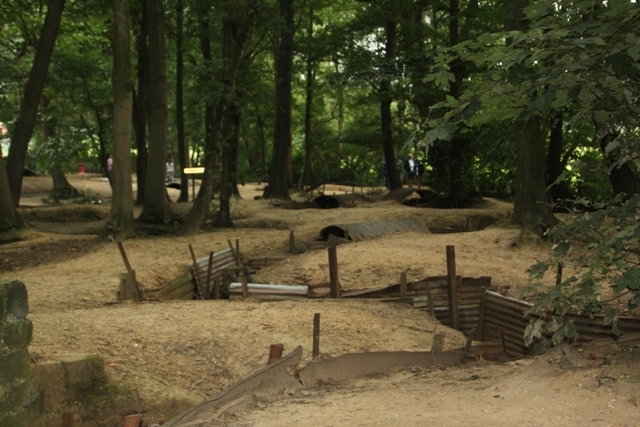 This place had that effect on us, still makes me shiver thinking about it and looking at those trenches. Fascinating. I always find your posts so interesting! Thank you so much!! This was one of those places that you could never forget, I hope I did it justice. Fantastic post again about a very haunting and sad part of the world. Your writing and photographs certainly do it justice. Thank you so much!! This was an incredible place, we were so moved by everything we saw here, it is a place that leaves a lasting impression I think on anyone that visits. What an interesting and fascinating place. It’s amazing that they gave preserved this place for so long. What a nice tribute. 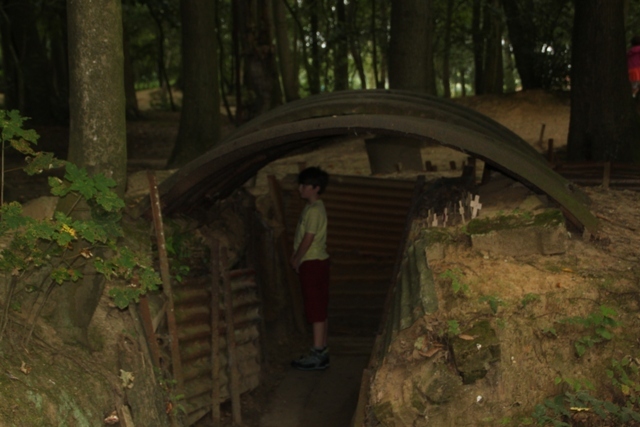 It is spell binding George, to walk through those trenches and imagine what happened there… so sad and so sombre but an incredible place to experience. My husband is such a WWI and WWII enthusiast! He would’ve loved to go on a trip to this location! 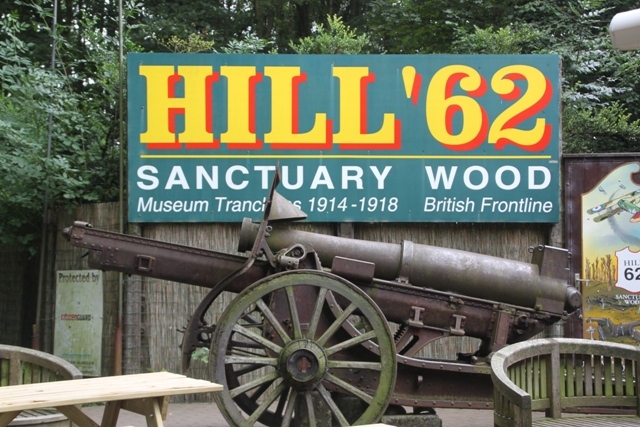 It is such a fascinating place anyway but if you are keen on the history then I would say it a must do sometime!! We learned so much and found it such a great experience.